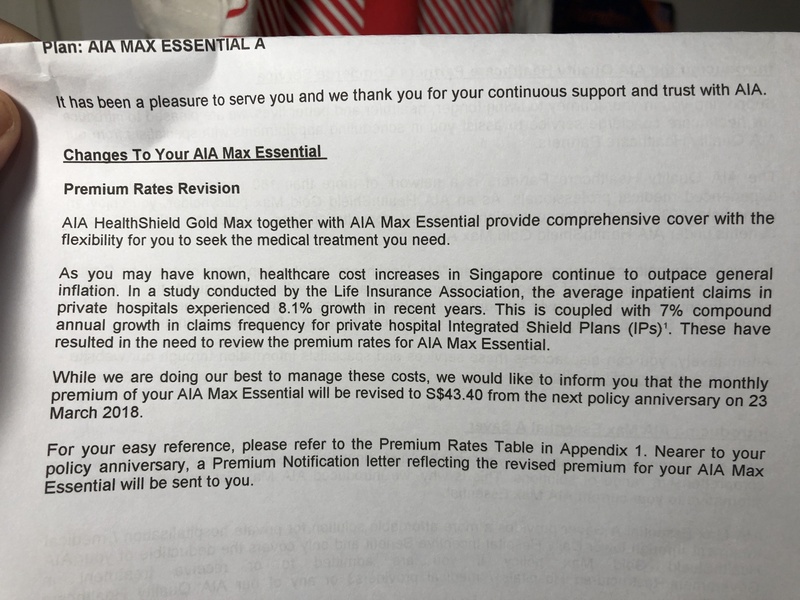 AIA, my private health insurers wrote to me saying my premium will rise to 43.40SGD. They failed to mention the percentage rise. It was 38.40SGD, so that makes for a 13% rise, which I think is a bit much. Admittedly private health insurance is cheap in Singapore, but if it keeps having 13% rises every year, it won't be. I'm not sure how to interpret their argumentation of inpatient claims in private hospitals experienced a 8.1% growth. This is a dubious attempt for you to share your fitness metrics with an insurer. In return they offer "upto 15%" discounts on the premium. They basically reward you if they can see you've been healthy. They don't mention that it costs 3SGD a month just to enrol to Vitality. I will be avoiding this on ethical grounds and also I don't care for silly loyalty programs.